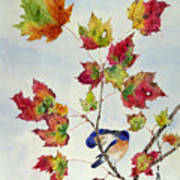 Birds On Maple Tree 8 by Ying Wong - 7.250" x 10.000"
Birds On Maple Tree 8 framed print by Ying Wong. Bring your print to life with hundreds of different frame and mat combinations. Our framed prints are assembled, packaged, and shipped by our expert framing staff and delivered "ready to hang" with pre-attached hanging wire, mounting hooks, and nails. In her early years as an art student, in the 1950's of the People's Republic of China, Wong Ying was trained under strict disciplines to be a realist-painter in the Chinese Painting Department, GuangZhen Academy of Art, under Guan Shanyue, Li Xiongcai, among other magnates of Chinese art. After graduation she moved to Hong Kong and then to Canada. 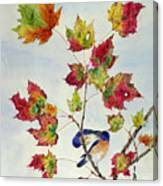 She travels extensively, and is very keen on observing the modern movement of art. The trends of contemporary painting push her forward, unleashing her imagination and bringing her up now to a new phase of creativity.